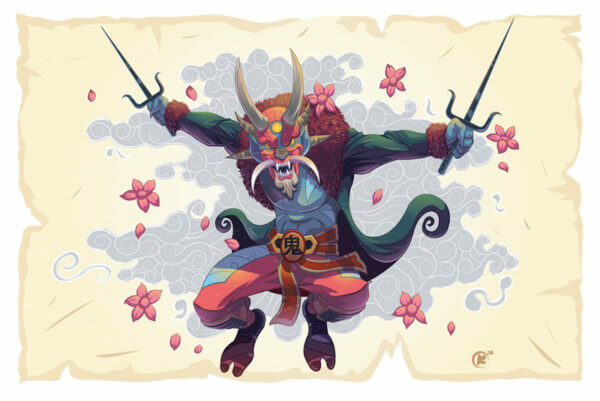 Oni (鬼) are a kind of yōkai, supernatural demon, devil, ogre, or troll in Japanese folklore. The Japanese style of art is both beautiful and extremely interesting. I find their ornate masks such as the Oni mask to be inspirational. 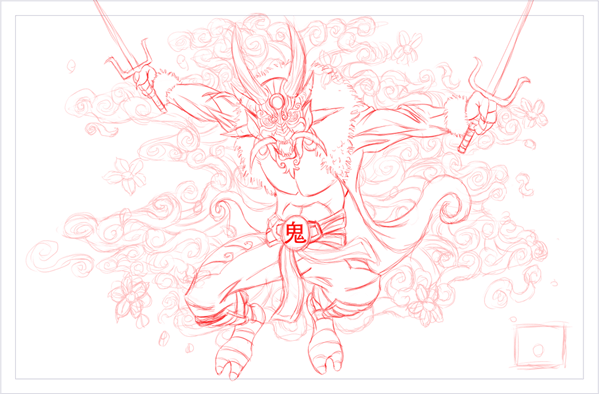 It is because of this interest that I have I created this piece, in my style, with a touch of Japanese imagery. This piece was created entirely in Adobe Illustrator from a rough sketch created in Clip Studio Paint. Thanks for looking!